Sorry I haven’t written a post in a couple weeks but I’ve been having relationship issues with Dark Souls. It feels as if this is a very one sided affair; I’ve been giving all of myself and I really do love Dark Souls, but I don’t think my feelings are being reciprocated. I’m pretty certain Dark Souls hates me, but I just can’t stay away. I had a fling with Dark Souls older sibling, Demon’s Souls, a few years ago and it didn’t end well. I should have known that their abusive behavior runs in the family. Serves me right I suppose. But sometimes I think, “Maybe it’s not Dark Souls, maybe it’s me. Maybe I’m the one to blame.” I first noticed there was a real problem when I picked up a TV remote in anger and almost hurled it at Dark Souls from across the room. I even bought this self help book with the best strategies towards helping our situation. It’s helped a little, but I’m still constantly on the defensive. 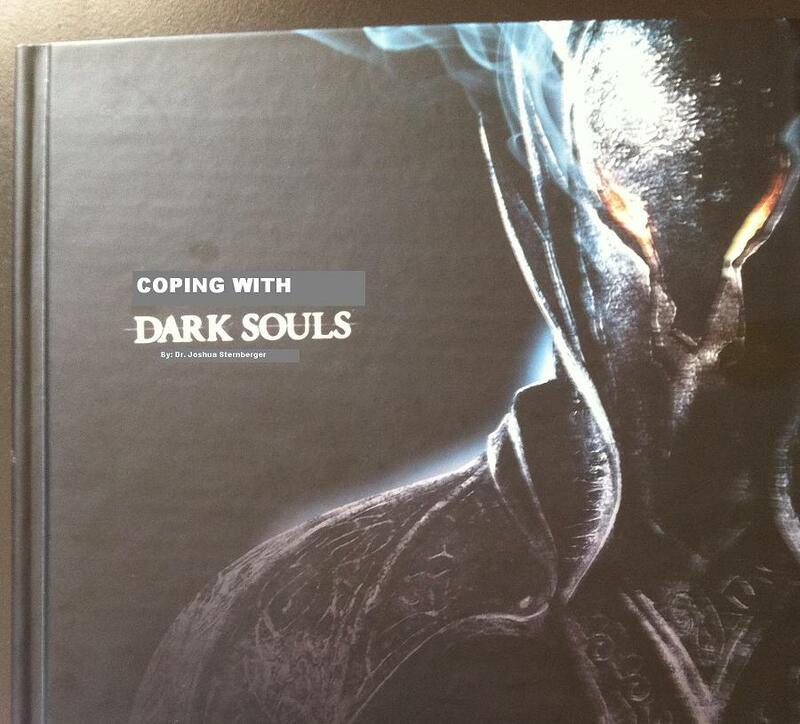 Even though this guide has given me insight on what to expect from Dark Souls, I’m still timid about rounding any new corners in our relationship. Some people have told me to just call it off, that we need to part ways because all I’m doing is hurting myself, that no matter how hard I try, or how much I study Dark Souls abusive patterns, it’s only going to get worse, and no one should put themselves through this. Maury always has these hopeless women on his show whose boyfriend/husband hits them, yells at them, belittles them, and they still say, “I know he doesn’t mean it when he hits me. He still loves me.” And I’ll be the first to say how stupid they are for staying in such a clearly harmful relationship, yet here I am, unable to walk away. If you too have had a similar problem and need to talk about it, I’ve got open arms and a warm shoulder to cry on. Anyway, I should have a new post up in another day or two, after I get my problems sorted out. Posted on November 3, 2011, in Not Indie Games and tagged bandai, bandai namco, dark souls, Demon's Souls, namco. Bookmark the permalink. Leave a comment.